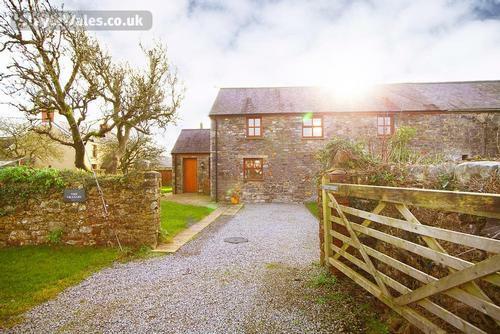 A renovated barn conversion on a working farm in the heart of Gower. Close to Three Cliffs Bay and ideal for walkers, cyclists and surfers. Adjacent to Rose Cottage, Lunnon and possibility of booking both properties by families or groups. The original barn dates back to the early 1800s and for many years corn grown in the surrounding fields would have been stored in the loft here at the farmstead of Great Lunnon Farm. 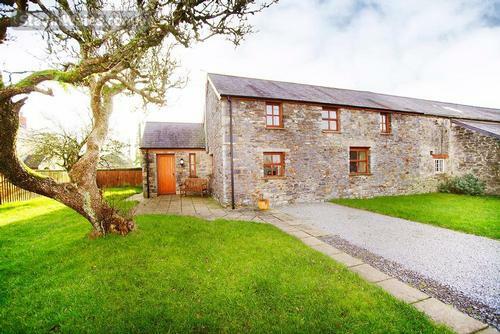 The Granary is located on a beef cattle farm and is a very spacious property which is fully equipped to cater for six people. 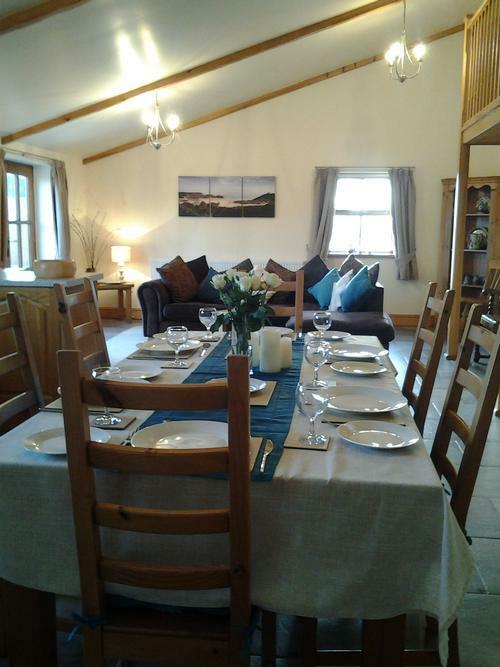 A warm welcome awaits you at Lunnon Farm from Viv and Mary Jones and family. 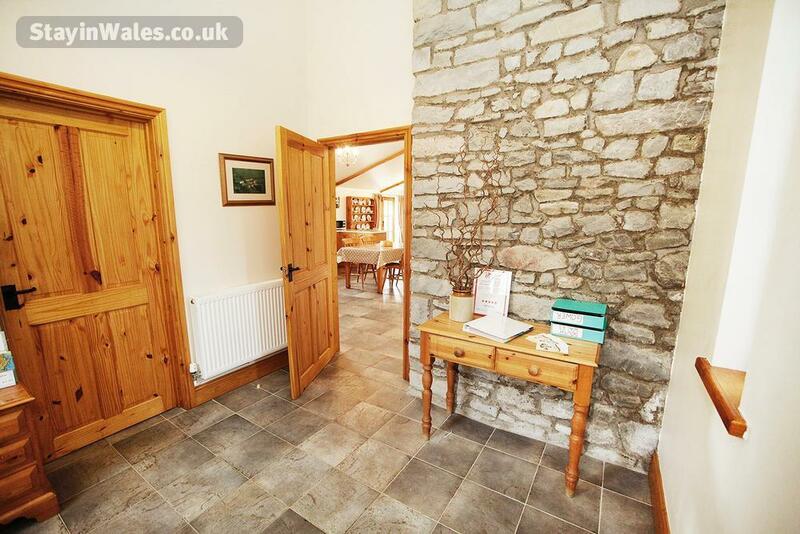 The entrance hall with cloakroom leads into the large open kitchen area which has a fully fitted kitchen with electric built-in cooker and hob, microwave, fridge/freezer and dishwasher. The kitchen has plenty of storage with floor and wall cupboards and table suitable for family breakfast time. The utility room comprises of further storage cupboards and houses the washing machine and oil fired central heating boiler. A small drying cupboard leads from this room, ideal for drying wetsuits, coats and walking boots. At the end of the day supper can be laid on the large dining table at the further end of the room adjacent to the French doors leading out on the south facing patio area and enclosed garden. 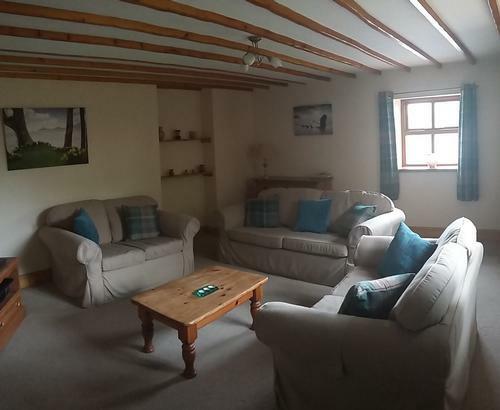 After supper relax in the sitting room with TV and video player or listen to music on the hifi. There is a bedroom on the ground floor which has a wet room en-suite, WC, wash basin and is suitable for a person with poor mobility. 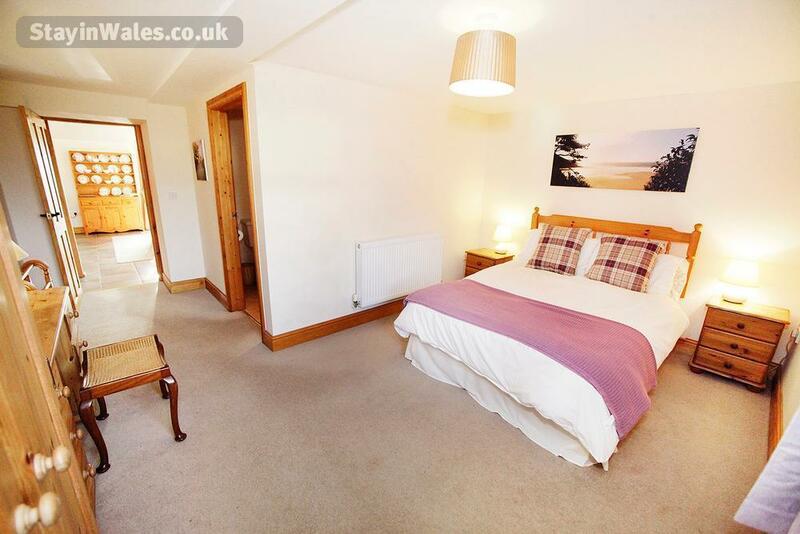 TV aerial point in bedroom. From the open plan kitchen a splendid ash staircase rises up to the first floor where the landing leads to two further bedrooms. The original beams have been retained in both double and twin rooms and also the bathroom which has a large shower, bath, WC and wash basin with shaving point. 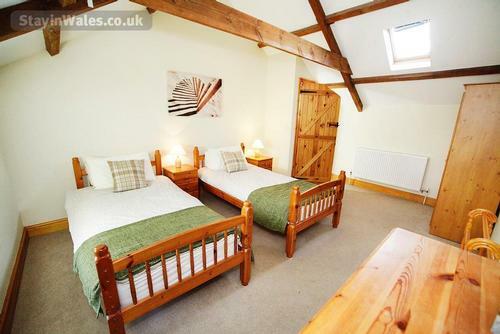 Each bedroom has TV aerial points. Bed linen and tea towels are provided and towels are available on request. High chair, stair gates and travel cot are available. Sorry no pets. The cottage has off road parking and a secure level garden with large patio at the back of the property. Our visitors are more than welcome to visit the farm. 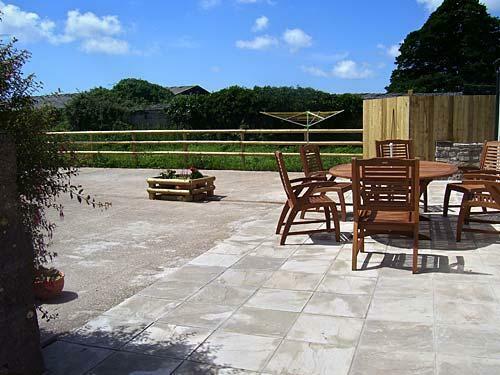 Due to our central location, we are ideally positioned for Gower's beaches and country walks. 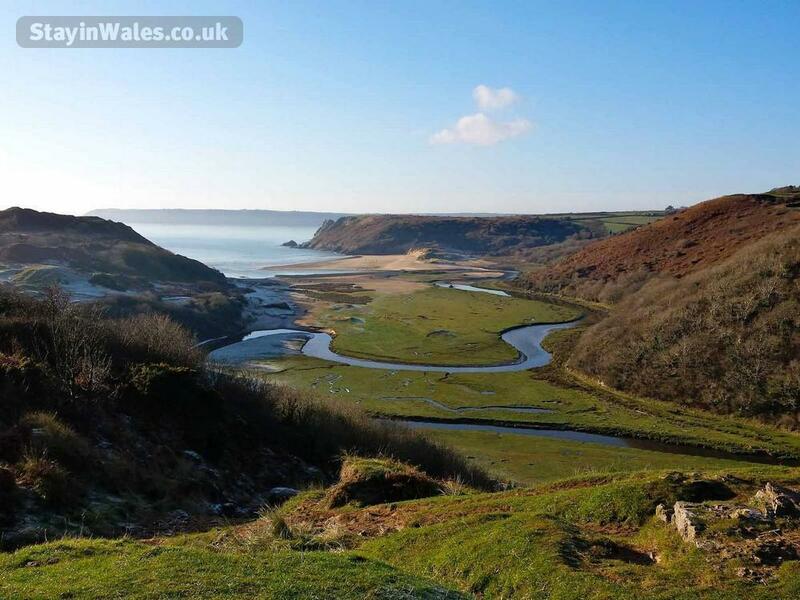 Oxwich Bay can be reached by car in around 10-15 minutes. 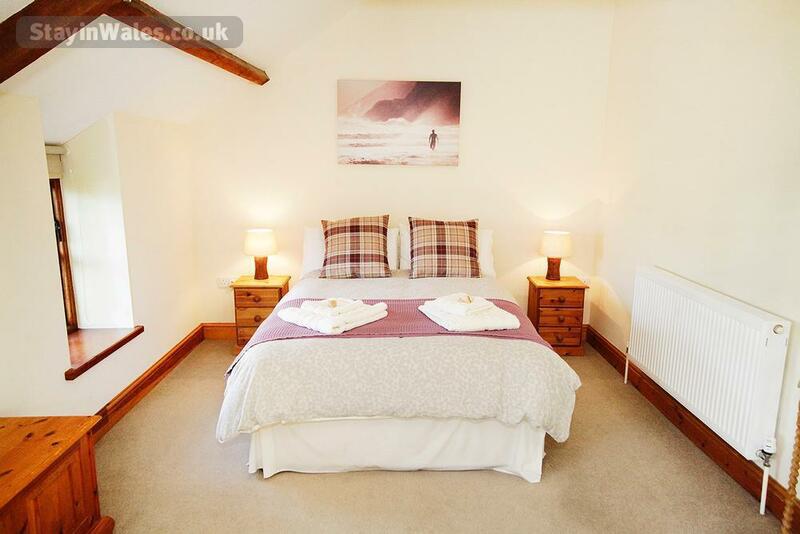 With the famous Three Cliffs Bay and Pennard Castle only being a short 25-minute walk away it is an ideal base for surfing, water sports and walking. Swansea is just 9 mile away and can be easily accessed by car and there is a once-a-day bus service available through Lunnon village. The nearest shop is Shepherds in Parkmill (10 minute walk) and the small village of Kittle which is a 10 minute car journey has a grocery and a bakery.